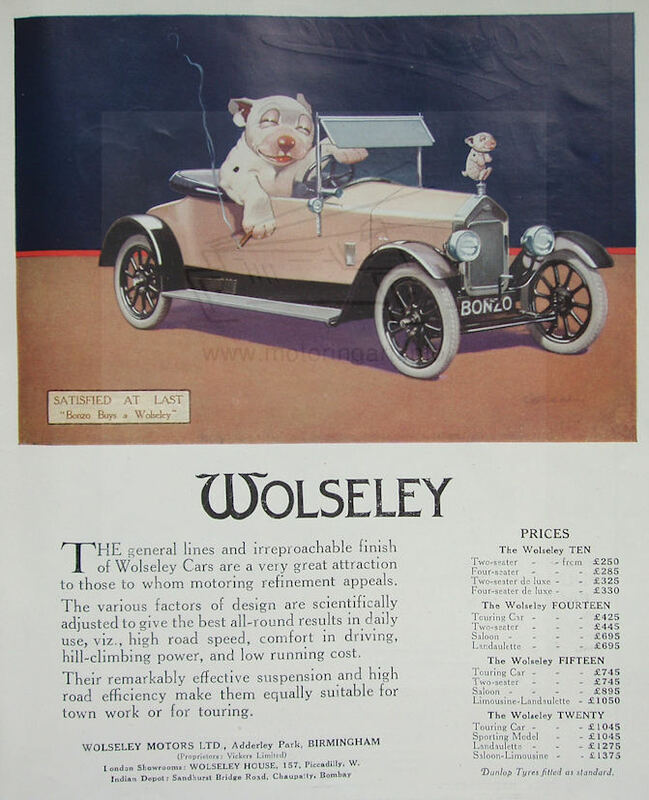 Artist/illustrator who in the early 1920’s created the famous Bonzo dog character that was used for cartoons, annuals, adverts, toys and a car mascot. He also was a prolific postcard designer for Valentines including 6 cards on ‘The Evolution of The Motor Car’. 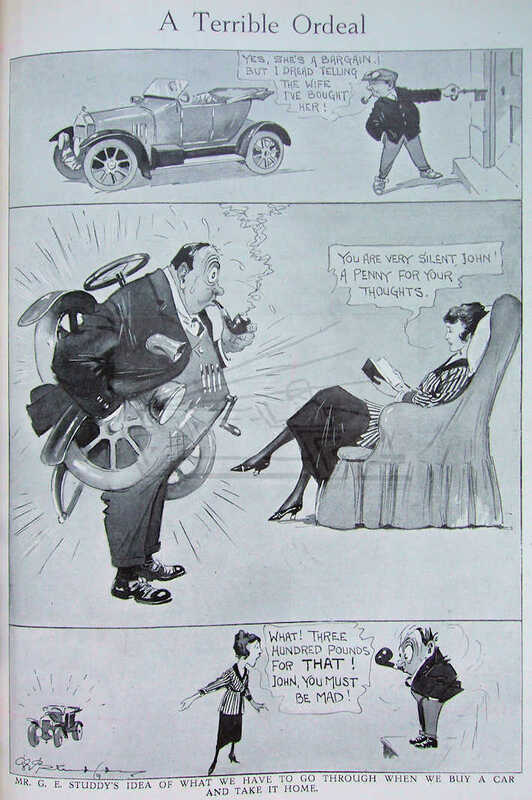 Also contributed cartoons to The Car – Illustrated magazine in 1906/07. The following additional information has been contributed by Reg Richardson – many thanks! 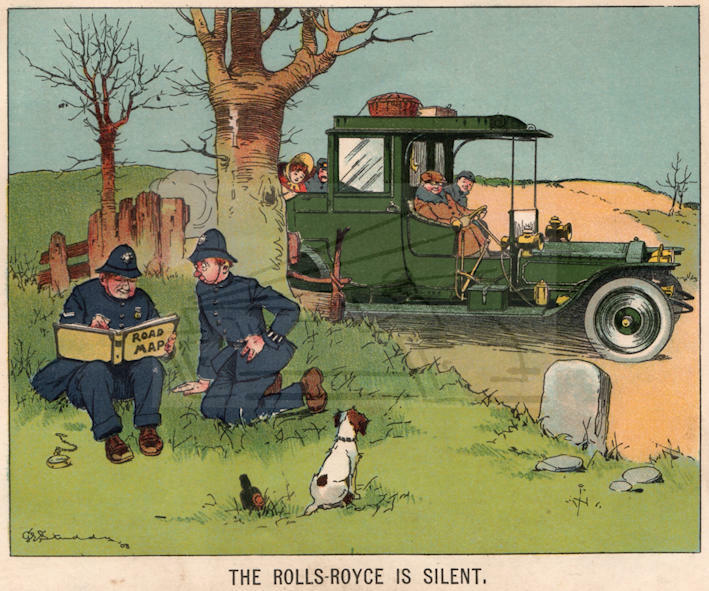 The series of postcards entitled The History of the Motor Car were issued twice, once in black & white by an unknown publisher (though possibly still Valentines) and once in colour by Valentines - the original cartoons in black and white were published in the Boy's Own Paper in 1903/4. 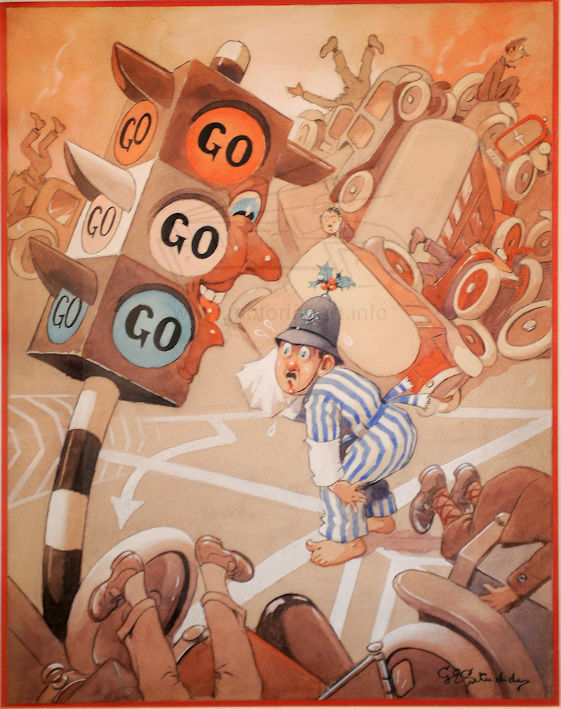 He produced around 25 postcards with Bonzo on them and which had some sort of motoring/motorcycling theme as well as 2 sets of 6 postcards which were not about Bonzo, entitled Motor Emotions and Motor Humour. 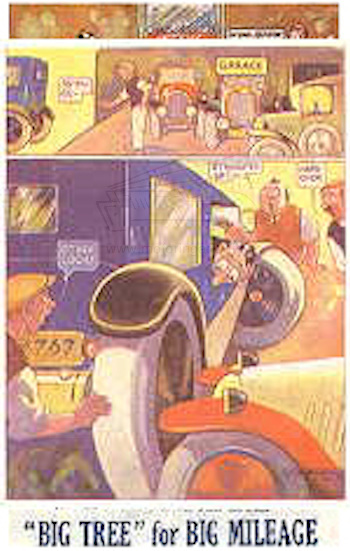 The same images formed the basis of a weekly series of cartoons issued by The Sketch in 1927, the series went under the title "What we motorists all feel at times". A number of ordinary (non-motoring theme) postcards were used by Big Tree Fuels to advertise their oil and petroleum products in New Zealand in the1920's and three of the Motor Humour cards were also adapted by Big Tree for further advertising cards. Studdy also produced artwork for Excelsior, the tyre company, and a number of postcards were issued. Studdy produced three humorous illustrations for the Rolls-Royce sales brochure in 1908. It is believed that these illustrations did not meet with Company approval and the brochures were withdrawn. Surviving examples of the brochure are extremely scarce and I thank Tom Clarke for the images below. 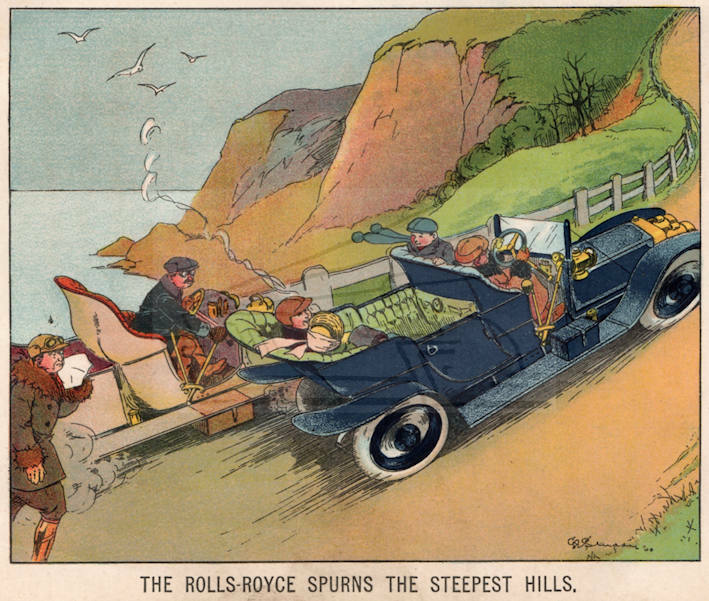 Rolls-Royce sales brochure illustration 1908 - Spurns Steepest Hills. Image courtesy of Tom Clarke. Rolls-Royce sales brochure illustration 1908 - Is Silent . Image courtesy of Tom Clarke. 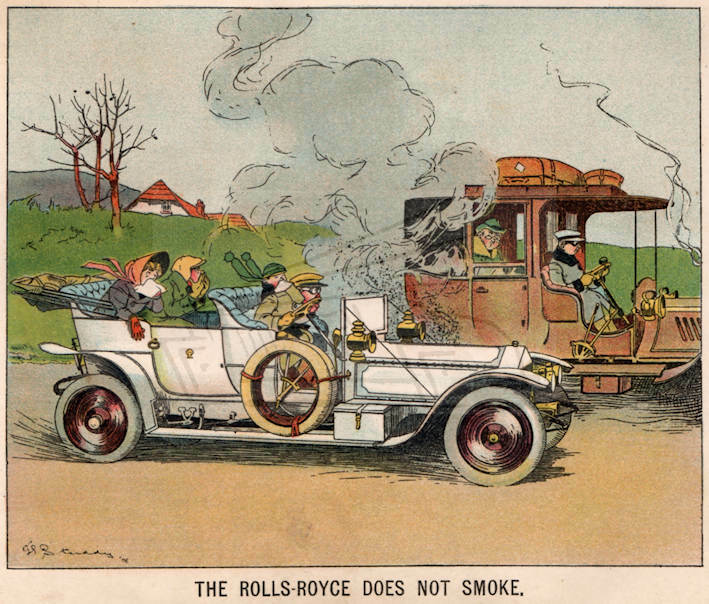 Rolls-Royce sales brochure illustration 1908 - Does Not Smoke. Image courtesy of Tom Clarke.